What you put into your body directly impacts what you get out of it. If you eat fast food, you will not feel your best and your health will suffer. The same goes for your pets. The diet that you feed them directly impacts their health and well-being. With so many ingredients and conflicting messages, it is important to know what to look for and what to avoid in your pet food so that you can make sure your furry friends live long, happy lives. Corn, rice, and wheat often become contaminated with mold called aflatoxin B1. Aflatoxins are very potent carcinogens and can grow in substandard or extended storage and under poor growing conditions (such as drought, increased insect activity, or leaving the crops overly wet). Aflatoxins have been found in popular dog food brands, including Purina (who maintains that the toxin is “unavoidable”). What is even more disturbing is that in recent years, many crops of corn in the U.S. were deemed unsafe for human consumption and the level of aflatoxins allowed in animal feed was increased by the FDA. To stay away from aflatoxins, look for pet food without corn, rice, and wheat. Animal by-product, or by-product meal is a fancy way of saying “the parts of the animals that are unfit for human consumption.” For poultry, this includes the bones, beaks, shells, and organs that were left over after the animal was slaughtered. By-product also includes the lungs, spleen, fat, blood, and intestines. Meat meal also falls into the “by-product” category, and should be avoided. Meat meal, for example lamb meat-meal, includes everything from fur, hooves, horn, hide, and manure (in unregulated dog food). Sure, these are high in protein — but they are not actually nutritionally healthy. These by-products are rendered, which means they are ground down, boiled until what little healthy enzymes they had are gone, and are dried and formed into the familiar dog food shapes. By-products are unfit for human consumption, and unless you particularly enjoy the idea of your dog (or cat) eating bird beaks and lamb hooves, should be avoided. When you look at the ingredient list, whole meats should be among the first three ingredients. Chicken, lamb, and beef provide much-needed amino acids that dogs need to maintain optimal health. If it does not have “by-product meal” after listing the protein, it is a whole meat. Unlike by-products, which have been ground and melted to lose many of the nutrients, whole meats are closer in form to their natural state. This remains the same in wet and dry food. When looking at pet food, it can be easy to forget that treats fall into the category of things we should closely monitor. Ingredients in treats like Milk Bones, Pup-Peroni, and Beggin Strips contain carcinogens, including BHA. Instead, opt for treats that meet the same standard as your pet’s food: whole meats, no by-products, and avoiding aflatoxins. Treats can also be a source of additional helpful nutrients and ingredients that you might not include in their daily diets. For example, these CBD Oil Freeze Dry Salmon Treats are great for dogs and cats alike, and contain no added synthetic ingredients. 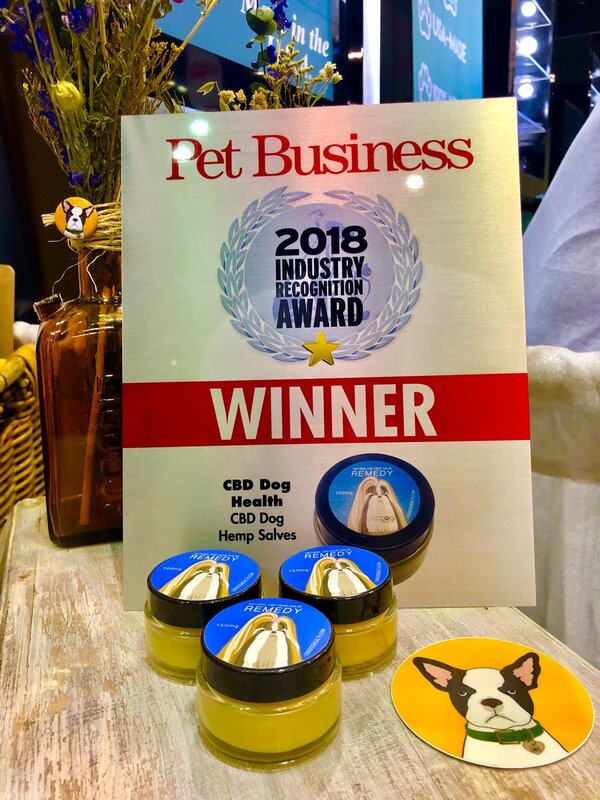 They also contain full-spectrum CBD oil, made without pesticides or herbicides, and will give your pet all of the benefits of CBD oil safely. Pet food labeling can be a bit more confusing than the labeling on human food. The good news is that reading the list of ingredients can become simple when you know what to look for. Ingredients are always listed in order of highest content. For example, if the label lists “Chicken, Lamb, Corn, Sugar, Carrots…” you might safely assume there is more chicken than carrots. Some dog food companies “Split Ingredients” on their bags to give the appearance of more, or healthier ingredients. Splitting means that the contents of one ingredient that is less healthy are broken up so that it may appear lower in the list. The first ingredient might say chicken, but if the next three ingredients are corn flour, corn gluten, and corn sugar, it is likely that corn is actually the most prevalent ingredient in the bag and not chicken. This also means that what is lower on the list can be as small as one percent of the contents. If healthier ingredients, like carrots, are near the bottom of the list, they are likely just there to impress you and are actually in amounts too small to have any benefits. A general rule of thumb: if you cannot understand the ingredients, you should steer clear. CESAR – Cesar Brand dog food has a cute pup on the packaging, but do not be fooled. This brand contains BHA, a preservative which the World Health Organization has classified as a potential cancer causing compound. Crude fat: 13 percent. Iams – Iams includes several animal by-products, and has about 9 percent fat. Purina Beneful and Purina Dog Chow – The first ingredients in Beneful and Dog Chow are: Ground Yellow Corn, Chicken By-Product Meal, and Corn Gluten Meal. It also contains about 10 percent fat. Kibbles N’ Bits – Kibbles N’ Bits contains a host of troubling ingredients, including BHA, yellow 5, red 40, and yellow 6 (all known carcinogens), animal digest, and propylene glycol (which is used in antifreeze. Pedigree – Among the ingredients in Pedigree: Blue 2, Yellow 5, Yellow 6, and BHA (all carcinogens), as well as chicken by-product meal and meat and bone meal. Taste of the Wild – This brand of dog and cat food is based on your pet’s ancestral diet. They are grain free and the first ingredients are whole meats. Blue Buffalo Wilderness – The first ingredients are whole meats and vegetables. Blue Buffalo is guilty of ingredient splitting, but the ingredients are generally better than the other major brands. Sojos Complete – Sojos contains freeze-dried beef and chicken, as well as healthy vegetables and can be made into a wet food. To learn more about how to keep your dog healthy and what chemicals to avoid, visit CBDDogHealth.com.